A band needs plenty of exceptional compositional talent to record an album that sounds monolithic despite the fact that the individual songs ooze a wide range of different details and special features. Since its foundation in 2001, Manimal from Gothenburg have successfully mastered this feat for the third time. Despite their loyalty to traditional influences their previous albums, The Darkest Room (2009) and Trapped In The Shadows (2015), were prime examples of modern and trend-setting power metal characterised by musical enthusiasm and new ideas. Their latest recording Purgatorio sees the four-piece take their outstanding qualities to the brink of perfection: Throughout their nine new songs the musicians pull out all the stops, presenting a number of different tempos and atmospheres and impressing with chorus parts that have true anthem potential. “Our goal has always been to write songs that we love and believe in. The challenge is to make a song with strong hooks without being too predictable. It`s just a bonus when we realize that people around the world seem to have the same good taste in music that we have,” jokes frontman Samuel Nyman. As usual, Nyman is at the epicentre of this amazing album that features one highlight after the other. Inspired by Rob Halford, Geoff Tate and Michael Kiske, among others, his voice oozes aplomb and pure passion, blending perfectly with the intelligent songwriting, courtesy of guitarist Henrik Stenroos, a true riff icon whose hooks and licks provide the foundation for Manimal’s songs. Equally important for the group’s typical flair are drummer André Holmqvist and bassist Kenny Boufadene. Holmqvist has a tight, powerful drum style that comes surprisingly close to paragons such as Tommy Lee and Mike Portnoy and he also co-wrote the lyrics on Purgatorio with Nyman, while Boufadene was in charge of mixing the new album and also produces his band’s videos. 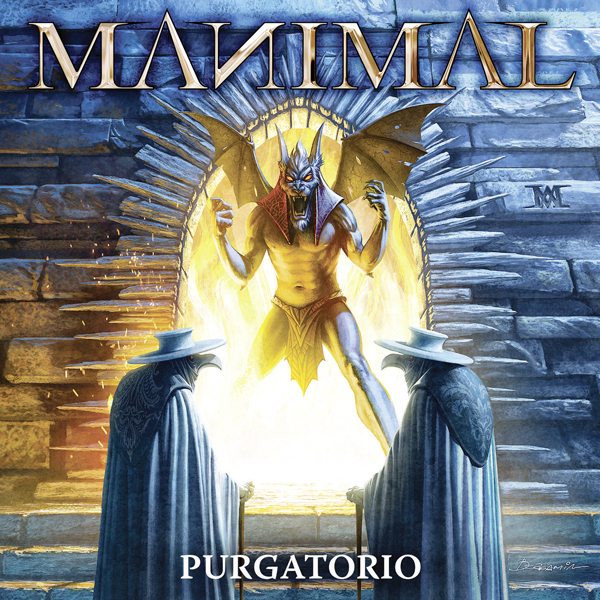 Blessed with such diverse talents, it’s hardly surprising that Manimal took the most important studio parameters into their own hands again during the production of Purgatorio. “Just like our previous two albums, we produced this one ourselves. Mainly because we like to have full control of the production. We’re control freaks to the bone and the thought of putting our creations into the hands of an external producer simply scares us,” Nyman confesses. 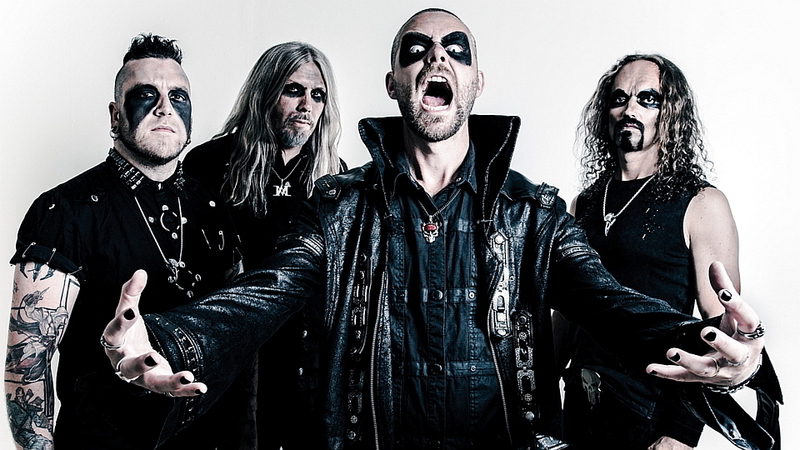 However, they took renowned support on board for some aspects: The drums were recorded by Jakob Herrmann (Anthrax, Europe, Machine Head, Evergrey) at the Top Floor Studios, the album was mastered by Tony Lindgren at Jens Bogren`s famous Fascination Street Studios, and the cover artwork was designed by Claudio Bergamin (Judas Priest). So Purgatorio impresses in every respect, from the first note of the opener ‘Black Plague’ to the final sound of the last track, ‘The Fear Within’. The title song and ‘Edge Of Darkness’ see the band present their typical mélange of haunting melodies, classy grooves and that latent melancholia that is one of their typical trademarks. On the other hand there are a number of tracks which are unusual for Manimal, such as ‘Denial’ featuring a riff that brings Rammstein to mind and ‘Spreading The Dread’ with its remarkable rhythm.